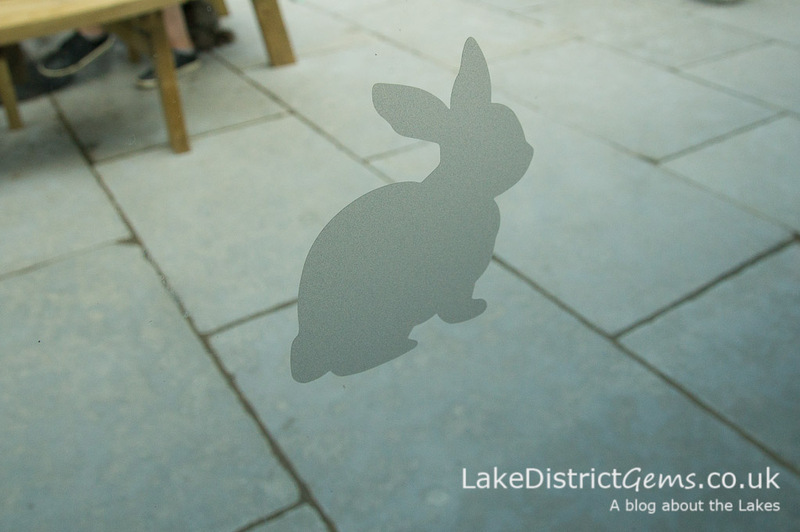 If, like me, you’re interested in all things Beatrix Potter, the Lingholm Kitchen and Walled Garden at Portinscale – which is on the north-western shore of Derwentwater, near Keswick – should be high on your list of places to visit next time you’re exploring the Lake District. 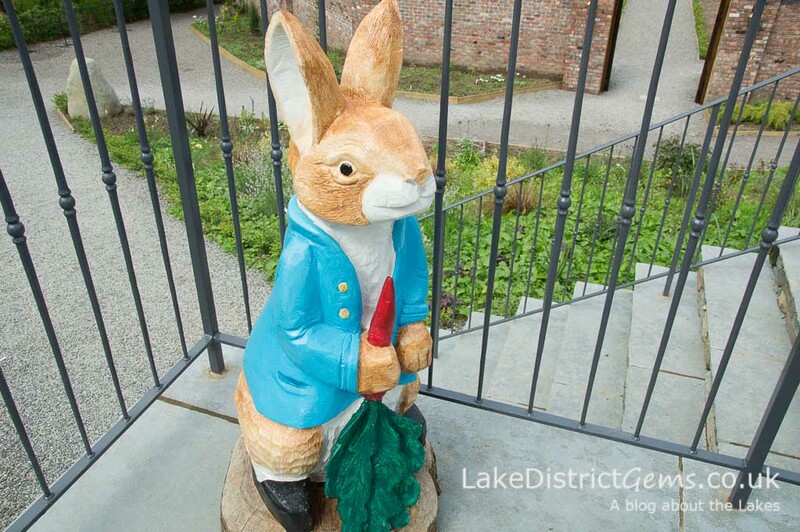 The main house at Lingholm was built in 1873 by Victorian architect Alfred Waterhouse, and has some lovely ties to Beatrix Potter’s work as a much celebrated children’s author. 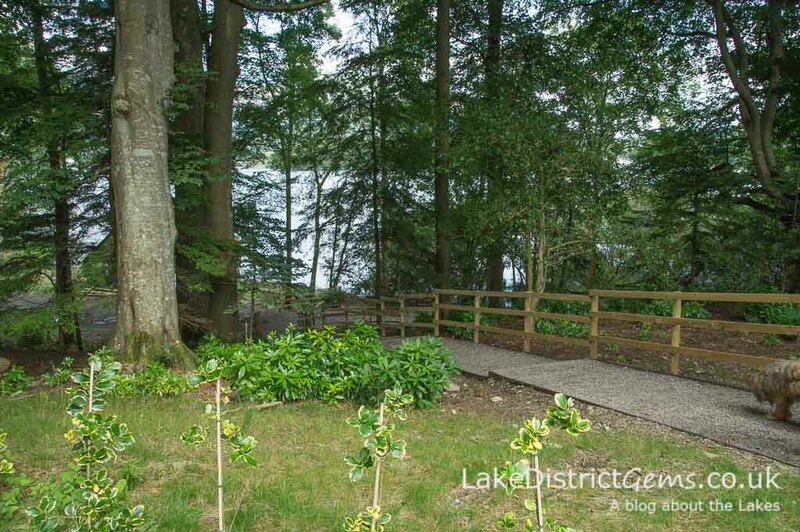 Beatrix was just 19 when she first visited Lingholm, and the wealthy Potter family spent 10 of their annual summer holidays here (they always rented large country houses for the summer) between 1885 and 1907. 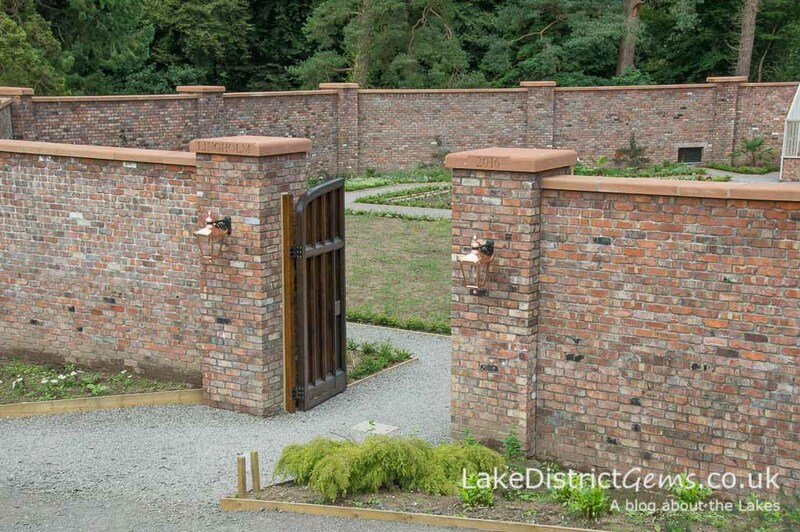 Today, the estate is home to a wide range of self-catering apartments and properties, each sleeping between 4 and 12 people. 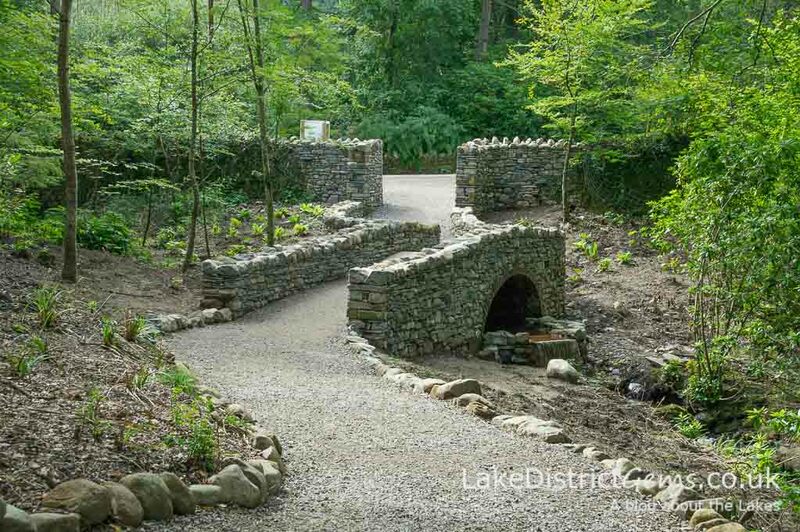 It also makes a stunning setting as a wedding venue. 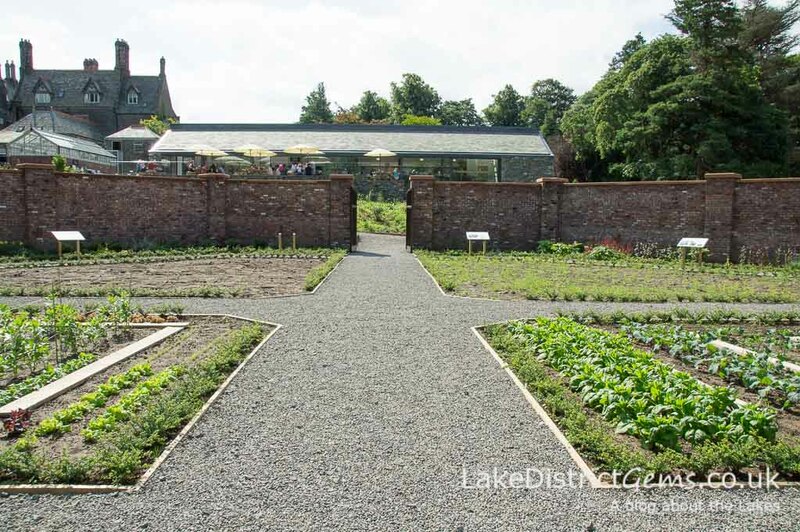 The most recent additions to the estate, which have opened in 2016, are the octagonal walled kitchen garden, a reconstruction of the gardens that would have been here when Beatrix came to stay, and the Lingholm Kitchen, a daytime terrace café. 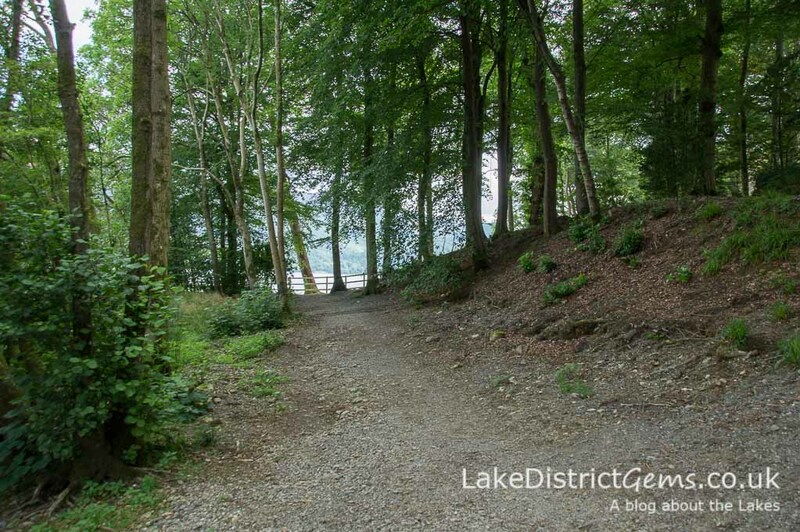 Beatrix’s book The Tale of Squirrel Nutkin, in which the cheeky Squirrel Nutkin ends up losing part of his tail to an owl called Old Brown (perhaps the book should have been called ‘The Tail of Squirrel Nutkin‘…), was set in Lingholm’s woodlands and on Derwentwater. 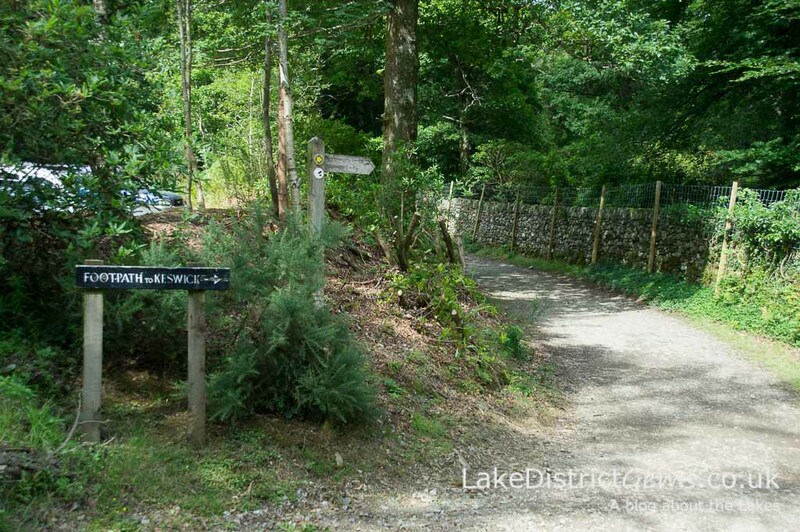 Meanwhile, The Tale of Mrs Tiggy-winkle was based within the landscapes of the nearby Newlands Valley and Littletown, which she visited during her stays here. 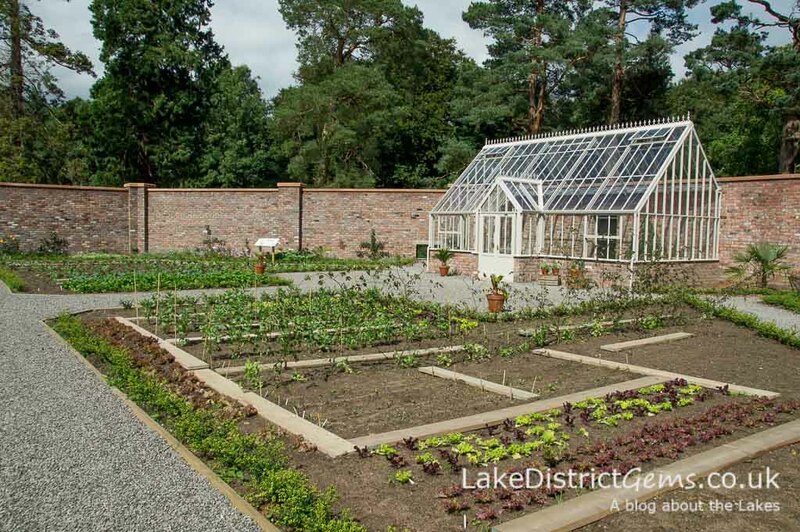 In particular, Beatrix credited the walled kitchen garden on the estate as the inspiration behind Mr McGregor’s garden in The Tale of Peter Rabbit, with The Tale of Benjamin Bunny set next door at Fawe Park. 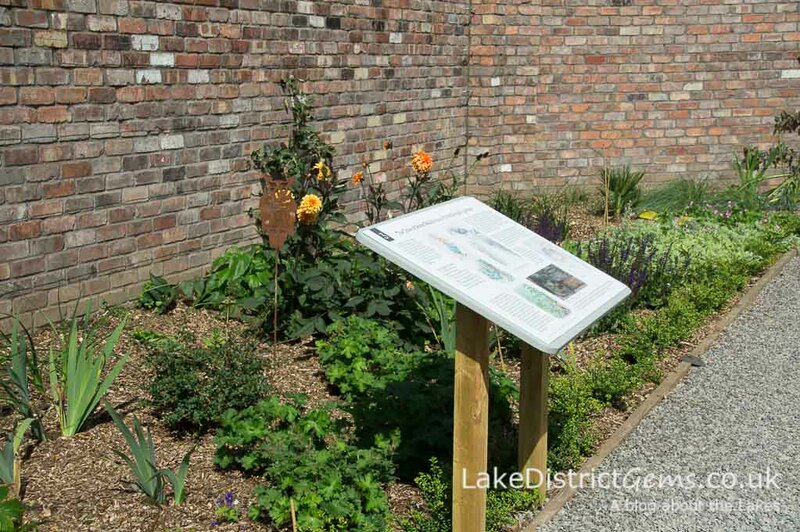 There are six large information panels in the walled garden which tell you more about Beatrix’s time at Lingholm and the inspiration she found here. 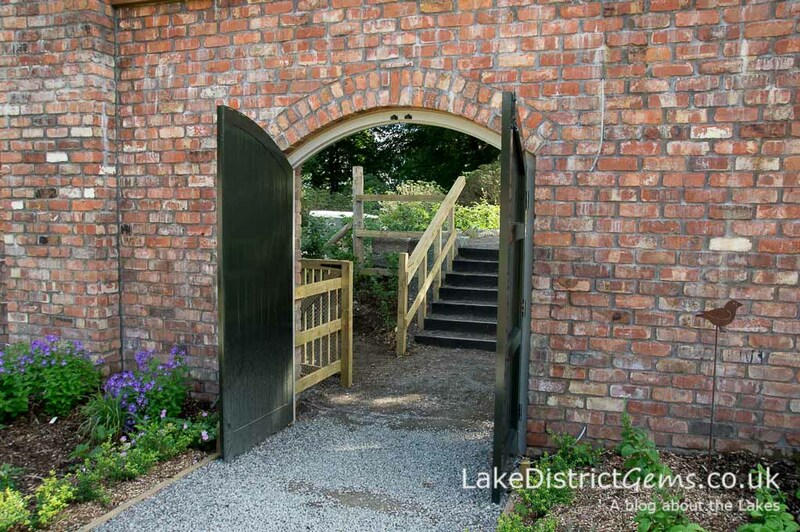 On arriving at Lingholm, we came across this lovely bridge on the pathway leading from the car park to the café and walled garden. 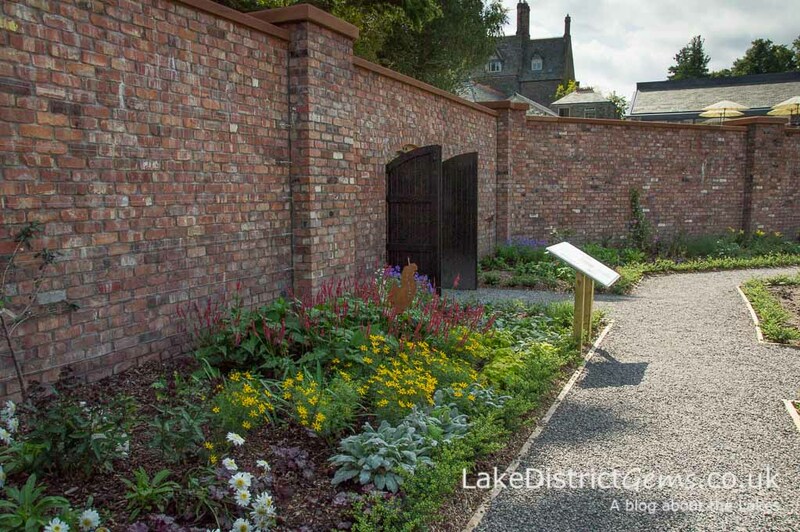 We then explored the octagonal walled kitchen garden itself, which was recently built to recreate the original one that once stood on the same site. 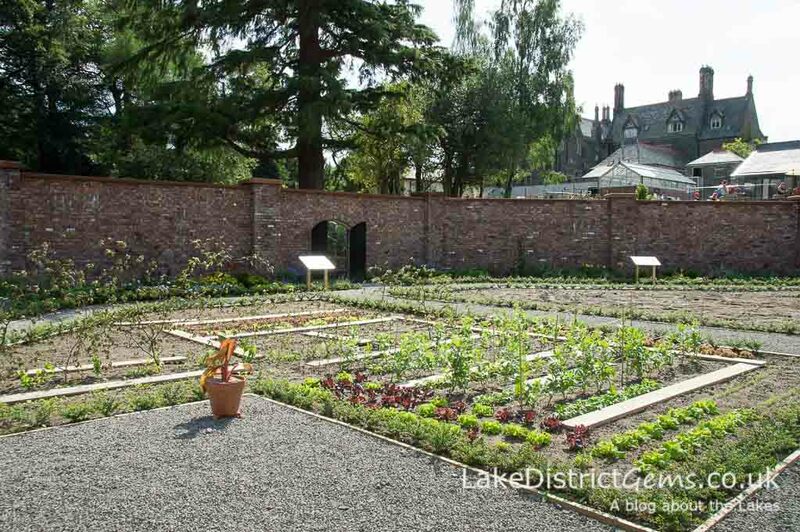 Although the planting is still in its early stages of growth, it’s already starting to look really good, and large parts of the garden will be used to grow produce for use in the Lingholm Kitchen itself. 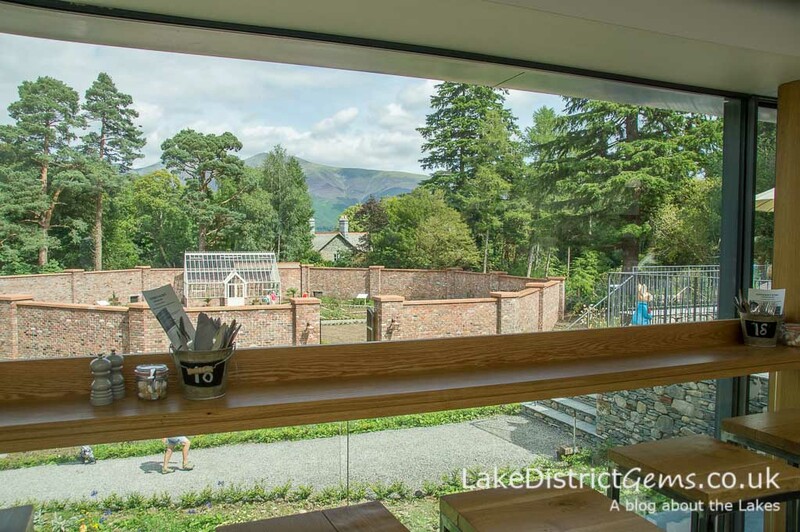 The Lingholm Kitchen is a long, light and airy café, with 100 feet of full length windows and an outside terrace which looks over the walled garden below, towards Skiddaw. 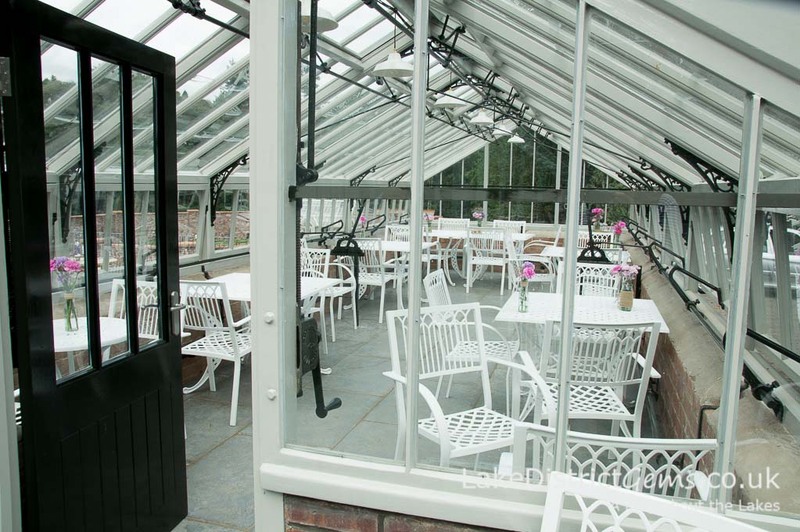 There is a large gift shop to the rear of the building, and a greenhouse/conservatory in which you can also enjoy afternoon tea. 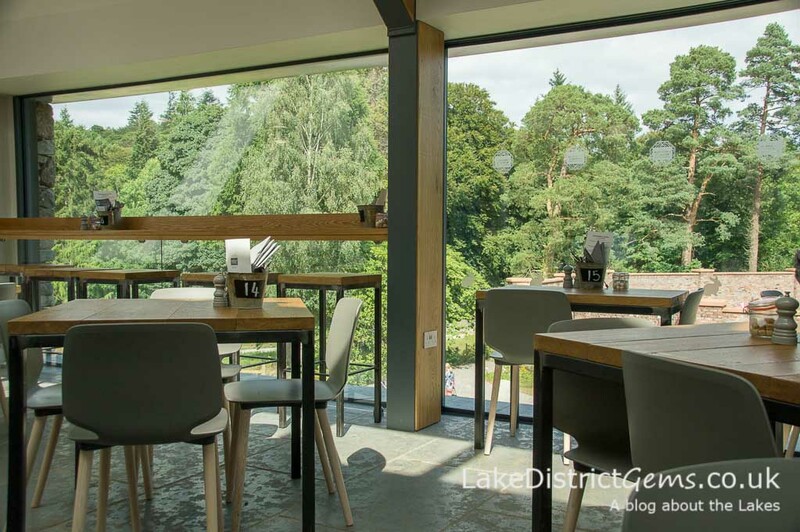 The Lingholm Kitchen has a great menu, with breakfast items until 11.30am, lunches including sandwiches, salads and light meals, and a proper afternoon tea, as well as a selection of cakes and scones. I’m a very slow eater (so slow that I once received a celebratory round of applause for finishing my pizza at a workplace meal out! 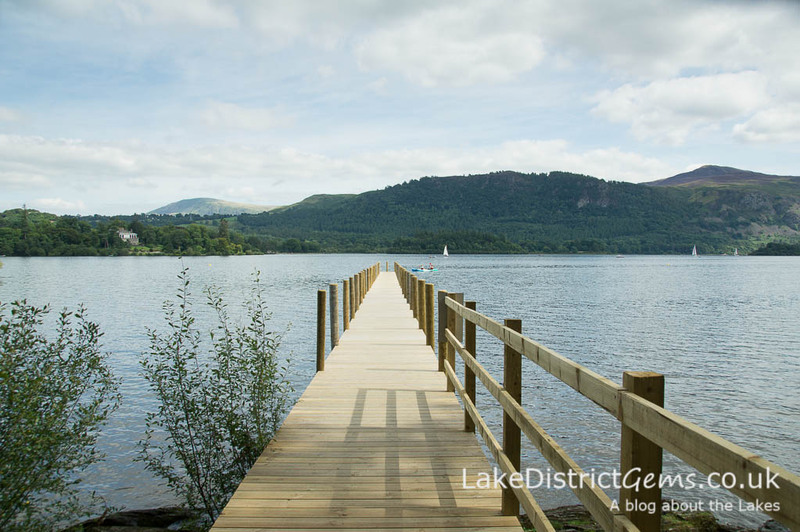 ), so some time later, but having thoroughly enjoyed myself, we decided to take a gentle post-lunch stroll so that I could take a few photos down at Lingholm’s jetty. 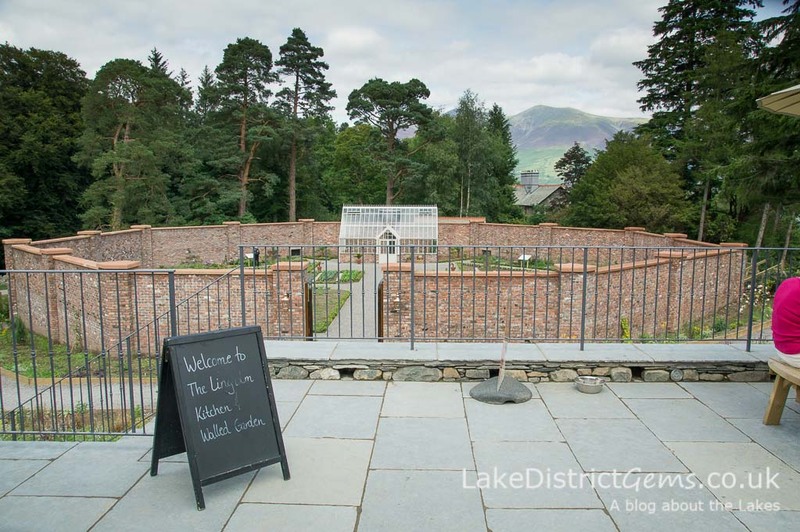 You can get to the Lingholm Estate on foot from Keswick (the leaflet states that this takes around 35 minutes) or from the Catbells footpath which passes the driveway. 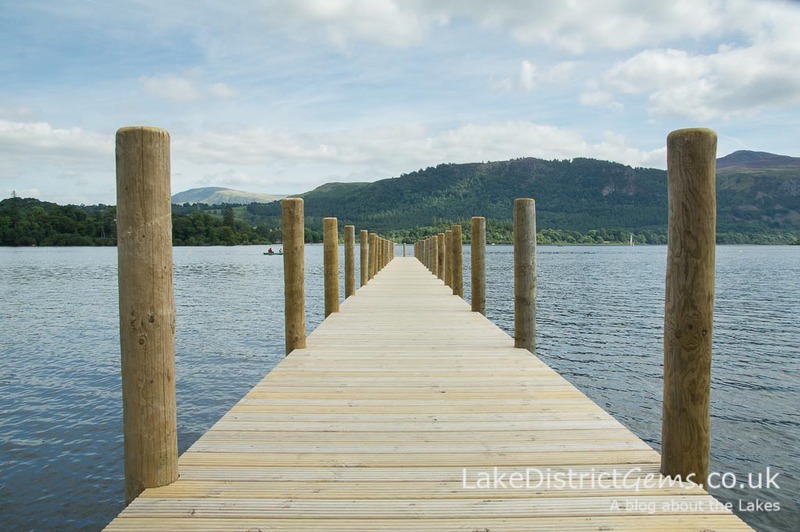 You can also visit by car, or arrive in style at Lingholm’s own Derwentwater jetty on board the Keswick Launch – if you’re staying in Keswick, I think this would make a really relaxed and memorable day out. 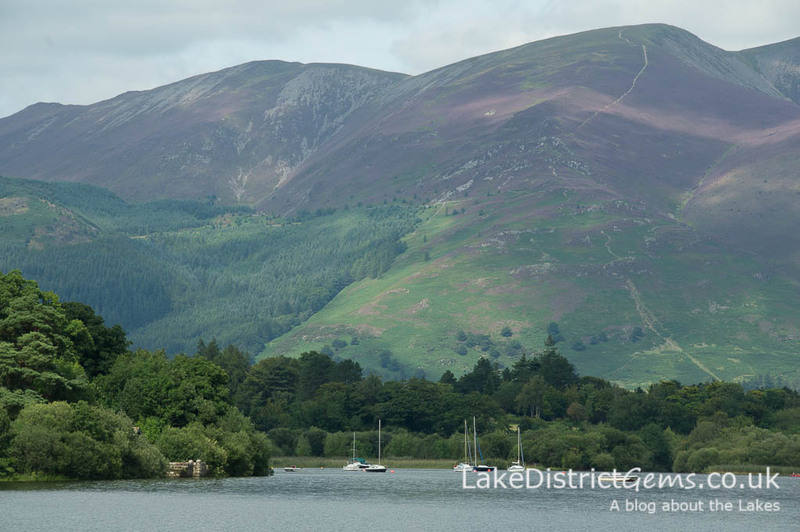 Derwentwater brings back some very happy (if slightly soggy) memories of school trips spent canoeing on the lake, and I think it’s one of the Lake District’s most calming stretches of water – at least amongst those in the more popular tourist areas. Tempted yet?! 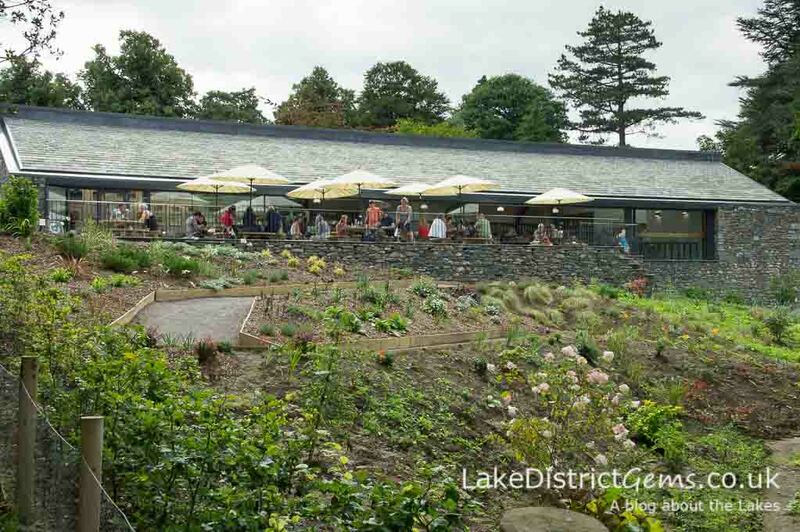 I’m really looking forward to revisiting the Lingholm Kitchen and Walled Garden at some point in the near future – it’s a true gem in the area, whether you’re a keen walker or are just looking for a relaxed way to spend the day (as regular readers already know, I’m more likely to be the latter!). 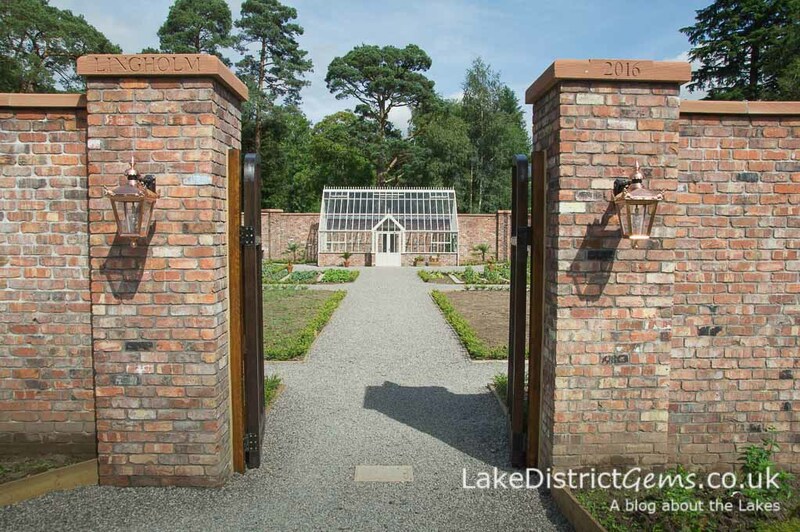 You can find out more about the Lingholm Estate, and see its Kitchen menu for yourself, online. 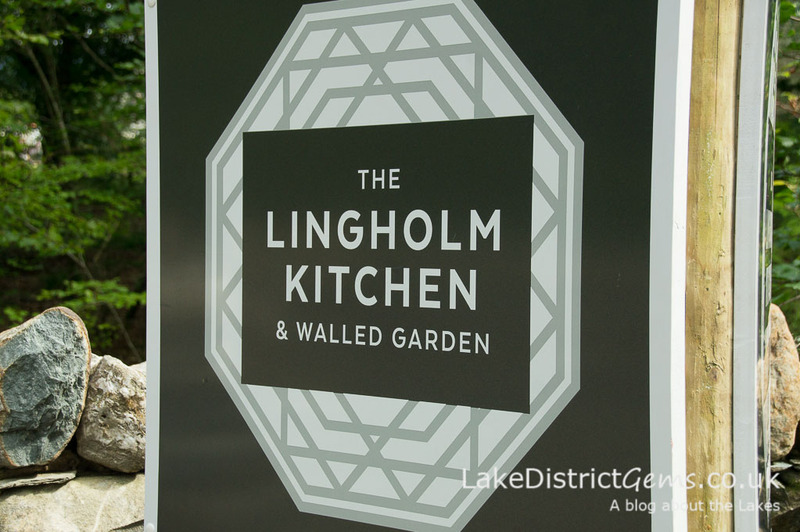 Have you visited the Lingholm Kitchen and Walled Garden for yourself yet? 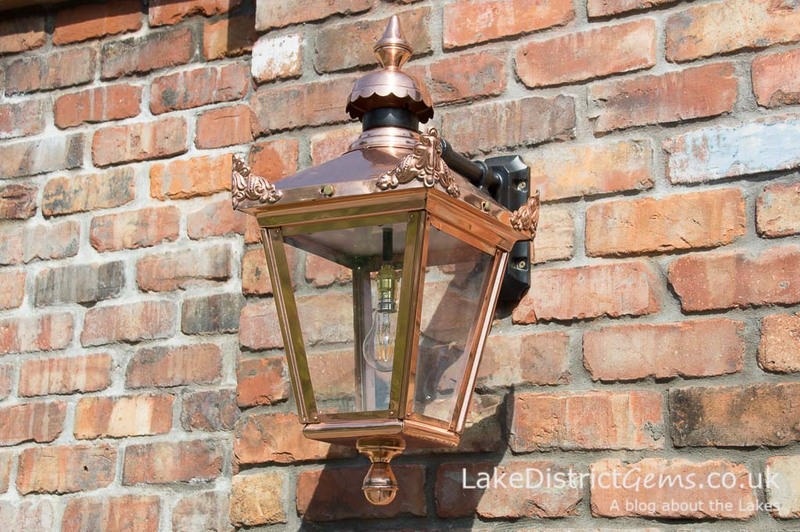 Let us know your thoughts by leaving a comment below. 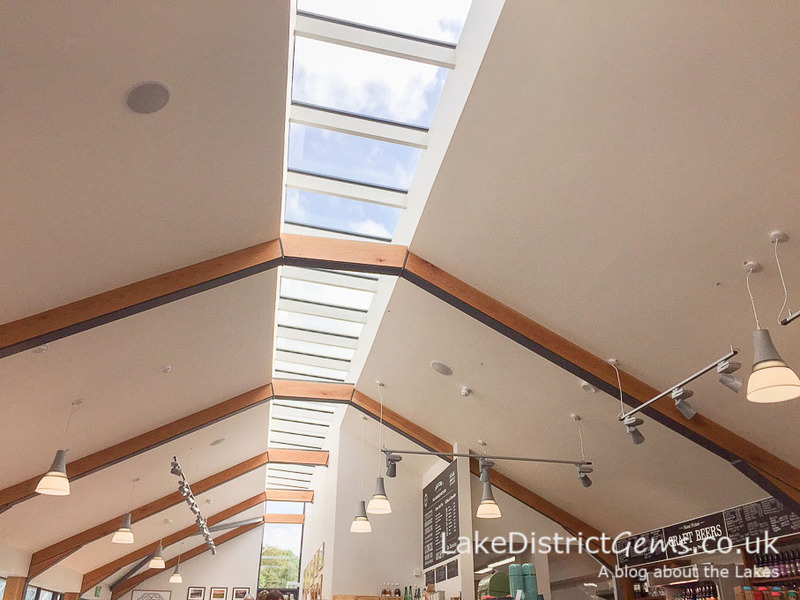 Because of its long windows, the Lingholm Kitchen is one of those places that will be great to visit even on a wet or wintery day, when you don’t want to feel shut away from the outdoors! 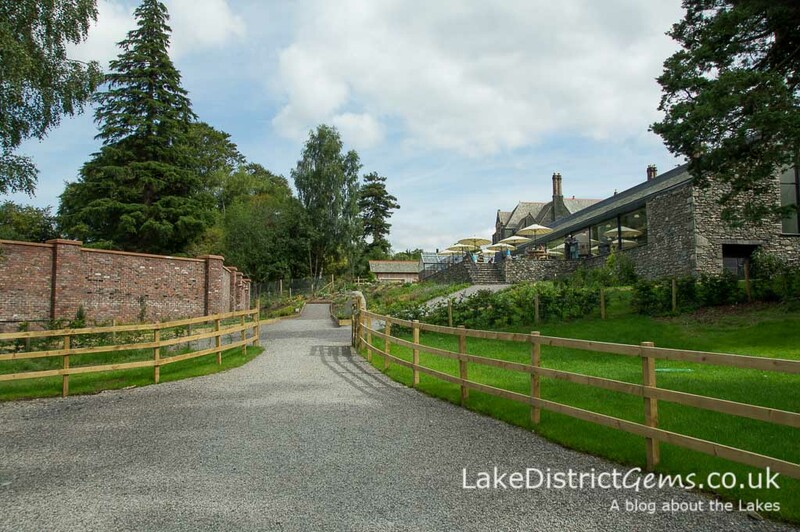 We recently had the pleasure of our son and daughter in law getting married there. 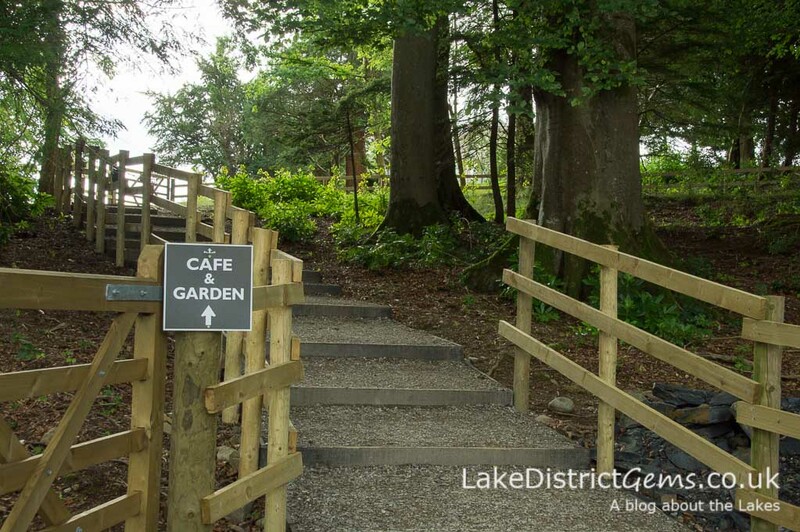 We spent a whole week and we all took to going into the Lingholm Kitchen for breakfast, afternoon tea etc. Absolutely love the place and all the staff. Highly recommend it. 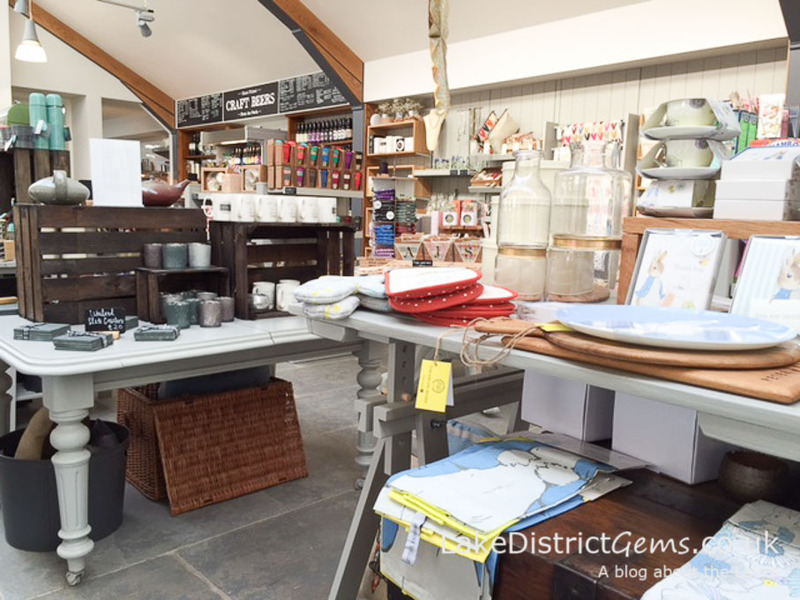 Thank you so much for your comment and recommendation Gloria – it sounds as though you had a lovely time!